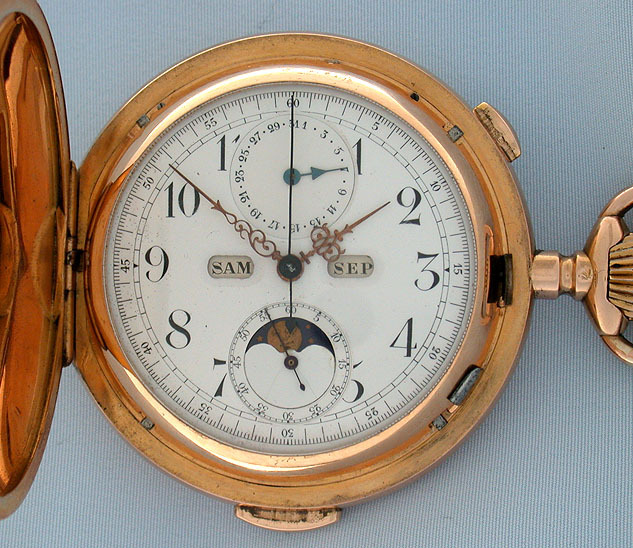 Large and impressive Swiss 18K gold Surété quarter repeater chronograph moon phase triple calendar antique pocket watch circa 1900. When activated, this watch chimes the time using different chime tones to designate the hours and quarter hours. White enamel dial (hairlines and minor repairs) fancy gold hands, subsidiary day of the month dial and apertures for day, date, and moon phases. 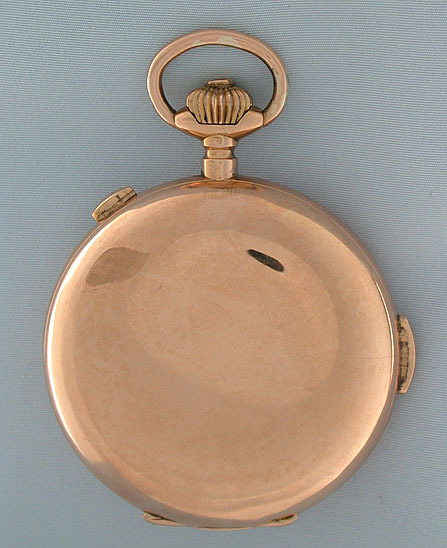 Plain polish case with small ripples on the covers; the dust cover with movement details and a gold medal. 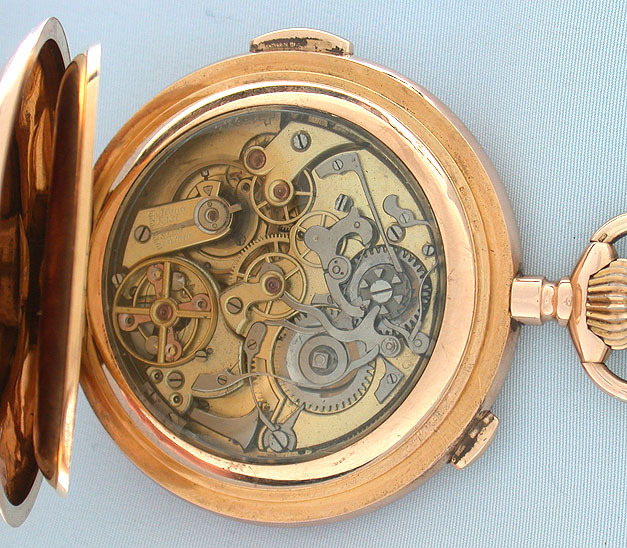 Glass over the 15 jewel movement with chronograph works visible on the back plate. 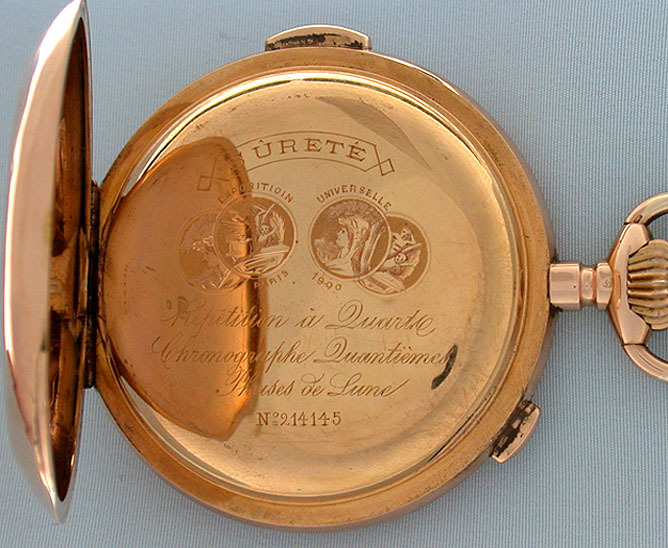 Surété is a brand name that was used by Movado. Loud clear tone.